In 1895, Clara Erskine Clement wrote of Topkapı Sarayı: “Within the walls of this deserted palace, one finds such desolation as is completely disenchanting. These days, the palace has the population density of rush hour on the Tokyo Metro. Any attempt to wander into some deserted crypt or hunt out the odd bits that lie in various crannies is recorded on CCTV and addressed by a passive-aggressive man in a uniform. 1895 would have been a wonderful time to be an archaeologist in the mood for digging up Byzantine masonry. 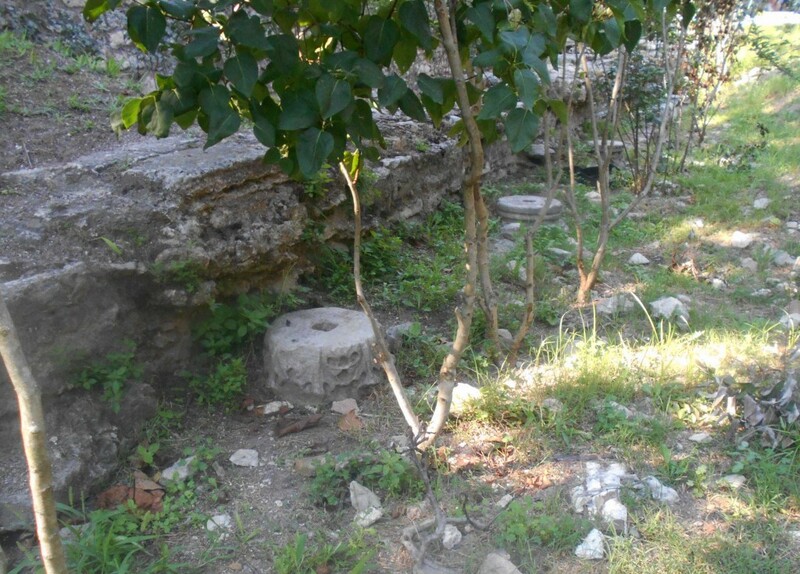 Saray Burnu appears to have been thickly forested with churches in the Byzantine period. Every time some kind of digging happens, more bits of church come to the surface and the great jigsaw guessing game of which church went where and which bits belonged to it starts up again. 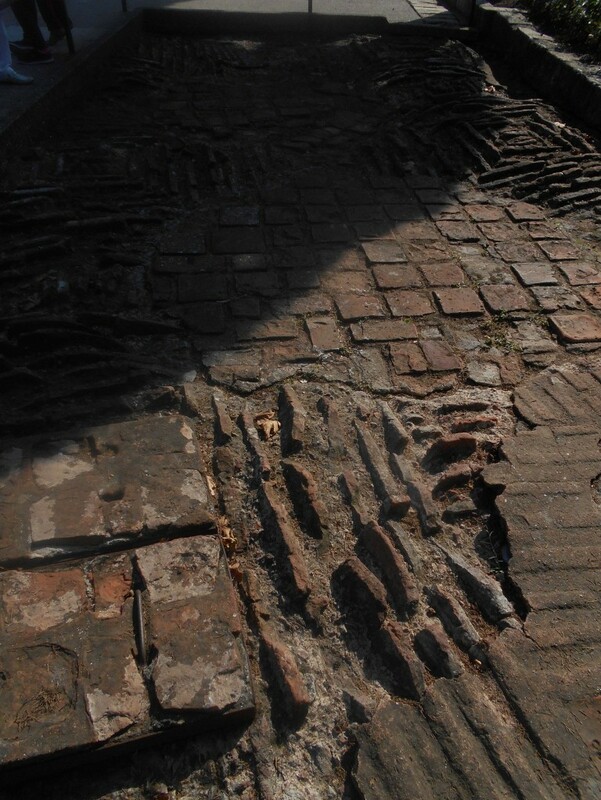 An excavation in 1937 of the second courtyard of Topkapı Sarayı revealed the inevitable church. The foundations showed a 35-metre affair with three naves from the fifth century. In the absence of information as to whom the church was dedicated, it is simply called the Palace Basilica. Crypt of the Palace Basilica. Second courtyard of Topkapı Sarayı. 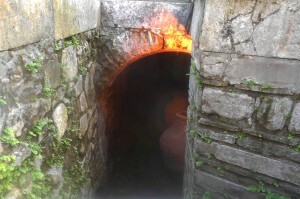 Roof of Byzantine cistern beside Palace Basilica. Glazed tiles from the 1937 excavations, Archaeological Museum. 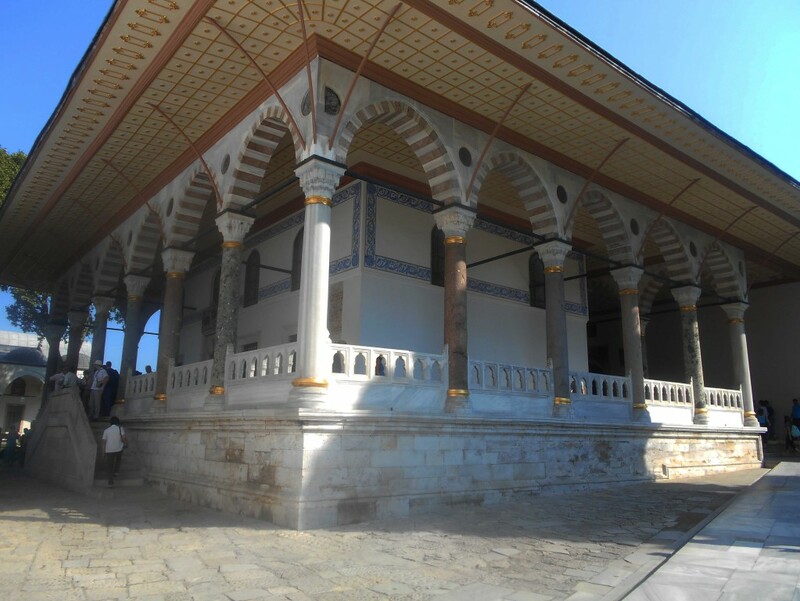 The columns in Topkapı Sarayı are largely recycled from Byzantine buildings. Some of these would inevitably have come from the Palace Basilica. 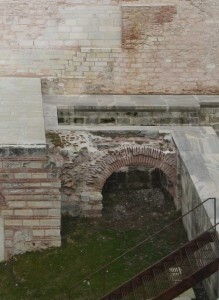 Remains of a Byzantine colonnade on the northern side of the Topkapı grounds. 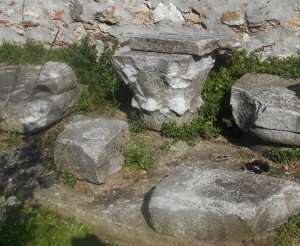 More Byzantine remains in the outer courtyards of Topkapı Sarayı. Remaining Byzantine arch in the substructures of Topkapı Sarayı. 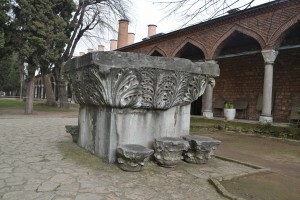 Massive capital in the second courtyard of Topkapı Sarayı. 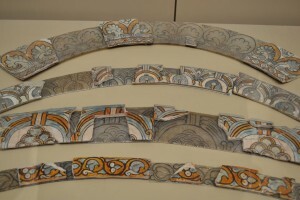 The excavations for the construction of the Archaeological Museum in Istanbul in the 1890s revealed extensive Byzantine remains. 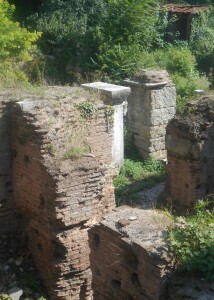 These are very close to the Palace Basilica and may have been part of the same complex of buildings. Among the ruins of a bath complex was this column and capital, similar to those found in the Hospice of St Samson between Aya Sofya and Aya Ireni. It appears to come from a church that was once in the area. Column capital with crucifix motif. Foundation excavations for Istanbul Archaeological Museum. Byzantine remains in a secluded corner of Topkapı Sarayı. Columns at Topkapı Sarayı: recycled from Byzantine churches.